Hi guys, I'm back! It's been a long time since I've posted something new on this blog and I have no one but myself to blame. Oh how I've missed blogging, but every freakin' time I sit down and try to write something up, I always end up scrolling through Instagram or reading other blogs or just hanging out on Twitter. There's just too many distractions that my train of thought would often get lost, hence the lack of new posts here. This time, however, I challenged and persuaded myself to just really finish up one post. I've had this one in my drafts over a week now and despite having lots of ideas, I just lost them somehow when I'm preoccupied with something else. So okay, let's get back to what this post is mainly about. Earlier this month, the netizens I've been following on Twitter had talked nonstop about this newly released series on Netflix. 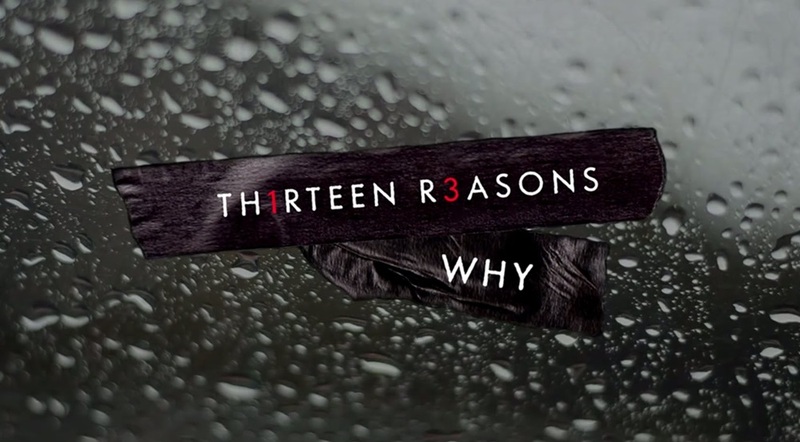 It was an adaptation of Jay Asher's book, Thirteen Reasons Why, which I have read way back January 2013. I remember because I wrote a short review about it on my old Tumblr blog and it's one of the books I loved that relayed a very powerful message. If you don't know yet, Thirteen Reasons Why is a narrative of a girl who committed suicide because of bullying. I remember when I finished reading the book, I said that these 13 reasons weren't enough for Hannah to take away her own life, it was an insensitive conclusion as I haven't really understood how Hannah really felt. But it is still my opinion, the only difference now is that after watching the show, I understood her better. The series depicted true emotions that moved something deep inside of me. You can really see that the actors were so invested in their characters and this made me feel and believe that what was happening on screen can truly happen in real life. I think we can all agree that at some point of our high school lives, there were really some awful times. And truthfully, I did have some bad moments myself. Although I didn't experience something as bad as what happened to Hannah. It must have been so terrifying to live in a world where you don't have anyone to trust enough to talk to and lean on. It must have been so sad to face the world feeling so alone. I cannot imagine how it must have felt like to be living like that. To have no true friends you could count on, to have no support system whatsoever, to have been mocked countless of times that resulted in you being so hard on yourself. I cannot fathom how depressing it must have been. I cannot imagine how Hannah must've felt on the day she decided to cut her wrists deep enough to die. When I finished watching this series, something in me was triggered. I was mortified. I was scared. I was angered. I was feeling a lot of emotions and they became very overwhelming that I had to pause for a while to get myself together. The vulnerability I felt while watching the show was surreal. Each episode is thought-provoking. They were very raw and explicit, it was difficult not to feel anything. The series came in 13 episodes, one reason per episode (duh). And the story was perfectly conveyed in each (episode). I think this is the first time I can say that an adaptation turned out to be better than the book. Really kudos to the directors, producers (hello, Selena), script writers, and other staff, a very commendable effort to everyone involved in this series. Not only is it beautifully made, it talks about a very important issue happening in the world right now and the impact of this series will resonate with every viewer. So if you still haven't watched it, I recommend you do so. To all bullies out there, I only have one sentence for you. Watch your words and actions, you never know what effect they have to the people whom you address them to. To all those who are being bullied: guys, you aren't alone. Find that someone whom you can confide to, there will always be that one person who will listen and not judge you. Do not forget that you have God and that He will never forsake you. NEVER EVER resolve to take your own life. Depression and mental health issues can be solved. See a doctor if you have to. Take it one day at a time. I know some will tell me I don't have the right to give pieces of advice like this because I haven't been in their shoes (well hello, I've been bullied too), but I just want you to know that not everybody is as bad as you think. There are people who are genuinely concerned and even if we don't know how to console you, I know that lending an ear can be a really big help.